I have carried and used SIG pistols for many years. I have been issued the SIG P226 and also carried the SIG P220. I have the greatest respect for SIG pistols and particularly appreciate their reliability. A pebble grained surface makes for excellent adhesion and abrasion. When the brass supplied officers with the SIG we knew that they had not gone for the low bid. By the same token the low bid won over many agencies. SIG needed a polymer framed striker fired pistol to compete on an economic and practical basis. The SIG P320 is the answer. 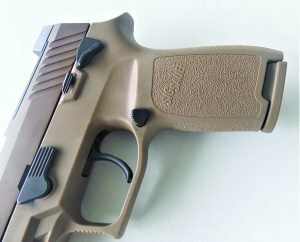 The SIG P320 was ergonomic, reliable, and easily used well. SIG finally had a striker fired competitor to the GLOCK and similar handguns. The new handgun is basically a striker fired version of the hammer fired double-action-only SIG P250, an overlooked but effective and reliable handgun. SIG offers compact and service grade versions of the P320. The P320 is a modular design. The action chassis may be removed and placed into a compact frame along with a short slide and barrel. The chassis itself is serialized. This makes for versatility and economy as well. An agency may keep on hand different frames to accommodate officers of all sizes. The SIG 9mm features ambidextrous safety levers and an ambidextrous slide lock. The SIG P320 entered US Army competition and emerged at the top of the heap as the US M17 pistol. The army wanted a modular design and SIG supplied the answer. The serialized chassis rides in a full size frame in this pistol. The slide is stainless steel with a non-reflective PVD finish. The polymer frame and stainless slide neatly solves performance and corrosion issues. 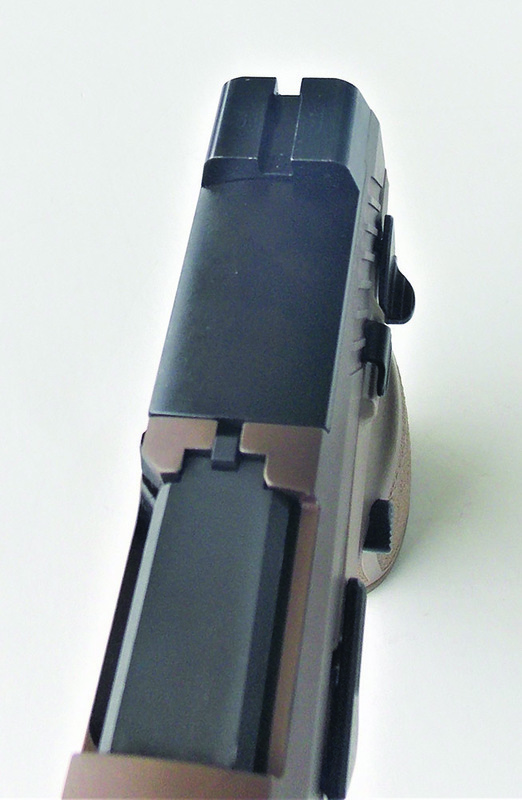 The pistol features a light rail for mounting combat lights and forward cocking serrations on the slide. The action is more of a single action than a double action only. However, since there is some movement in the striker as the trigger is pressed SIG labels the piece DAO. A block is moved slightly to the rear as the trigger is pressed before releasing the striker. The trigger action is very tight with little take up and a sharp reset. The trigger in my version breaks at 6.5 pounds. The design of the SIG magazine makes for excellent speed in reloads. SIG is offering a limited quantity of a civilian version of the M17. This pistol features an ambidextrous slide lock, ambidextrous safety, and the light rail, trigger action and appearance of the military M17. The SIG P320 M17 9mm pistol features a SIGLite tritium front sight and a Night Sight rear cover. These sights offer 24 hour capability but also offer precision accuracy in all light conditions. The sight picture is excellent. The pistol weighs 29 ounces, plenty to handle 9mm Luger recoil. The pistol features a 4.7 inch barrel. Capacity is 17 rounds. The pistol features excellent stippling on the grip frame. While the grip treatment does not abrade the palm adhesion and abrasion are excellent. The M17 features a manual safety. Many of us feel that a defensive handgun should have a manual safety and the SIG M17 safety is easily manipulated. It falls under the thumb easily as you come on target. SIG Night Sight sights are a tactical design that may be snagged on a flat surface or a belt and used to rack the slide in a critical situation. To date the pistol has fired over 2,000 cartridges without a single failure to feed, chamber, fire or eject. This certainly doesn’t compare to the military test but I have fired a good mix of factory defense loads including +P and +P+ ammunition without any type of problem. In fact combat style shooting the pistol need take second place to no service grade 9mm. However absolute accuracy isn’t as great as some competitors such as the Beretta 92 or the SIG P226. But in practical terms the pistol is a great combat handgun with only one trigger action to learn. Much of the ammunition I have used lately has been the Black Hills Ammunition 115-grain FMJ. Accurate, clean burning and reliable, this is a good training resource. When test firing the pistol the action never seemed heavy because trigger take up is short—less than a tenth of an inch—and the trigger breaks cleanly. Total movement is perhaps .25 inch including trigger reset. 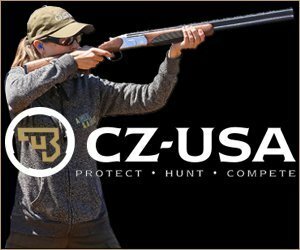 This fast trigger action means that there is little chance the sights will be disturbed as the trigger breaks. I found that I actually shot more accurately running a little faster. The pistol offers high hit potential and control in rapid fire is excellent. The triangular shaped magazine release is positive in operation. It wasn’t difficult to execute a rapid magazine change with the P320 M17. My usual practice routine is the same when testing a new handgun. I burn up a lot of practice loads and fire duty and defense loads to proof them once the pistol’s reliability had been confirmed. If the pistol doesn’t feed ball ammo something is wrong and there is no point in continuing testing with expensive hollow point ammunition. I most often deploy some type of +P 9mm loading. These heavy loads demand attention to detail and a firm grip. After firing more than two thousand cartridges in the SIG P320 M 17 the pistol offers excellent features and performance. I like the easily frame manipulated safety. This ambidextrous safety falls under the thumb easily. Manipulation is more positive than a slide mounted safety. The pistol is simple enough to use and easily maintained. An important advantage is that the trigger need not be pressed to field strip the pistol. Lock the slide to the rear, remove the magazine, check the chamber, move the take down lever downward, and release the slide lock to allow the slide to run forward. The recoil spring and guide and barrel are easily removed for maintenance. 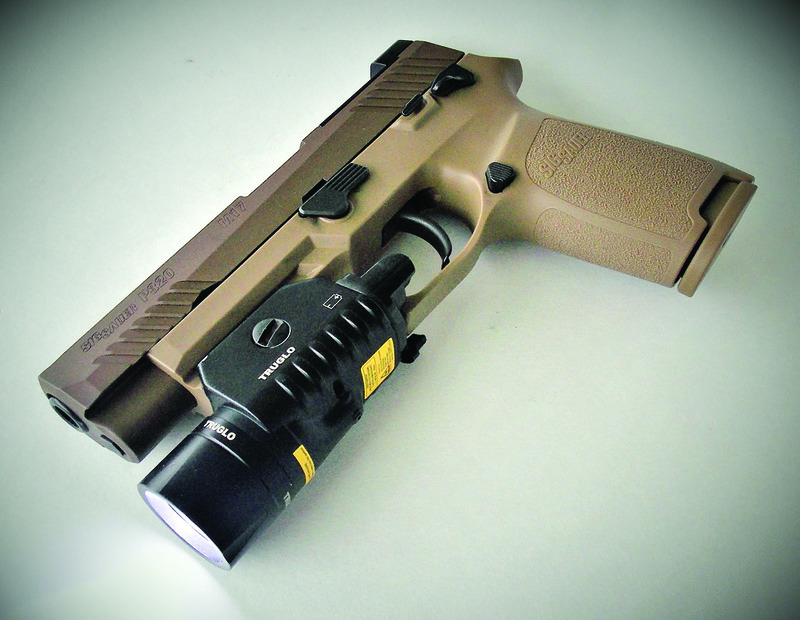 The TruGlo combat light is an excellent accessory for the SIG M17. This combat light features a bright light and also a red laser. Settings allow the light to be set for light only or red laser only or both at the same time. Ammunition is a critical part of the whole defensive picture. The load should be accurate enough for personal defense, controllable, and exhibit a good balance of expansion and penetration. I have come to value accuracy and control more than the most powerful loading. 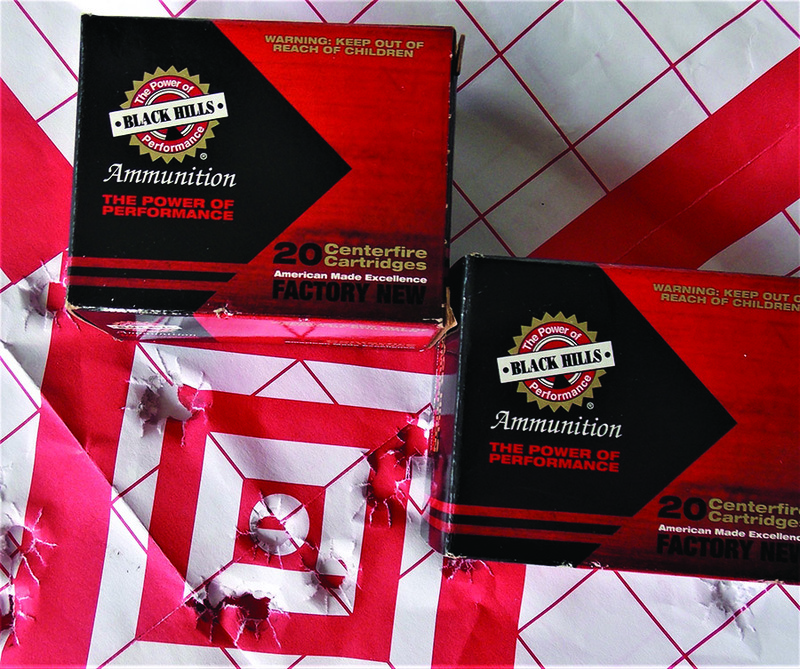 Among the best defensive choices in ammunition are those offered by Black Hills Ammunition. The 9mm 124-grain JHP at 1100 fps offers a mix of penetration and expansion that favors penetration. In a worst case scenario the 124-grain drives deep and expands. The total wound volume is large. 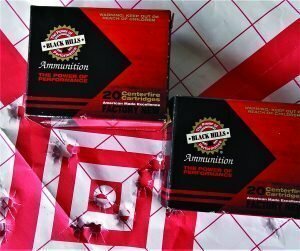 A loading I recommend for most personal defense shooters is the Black Hills Ammunition 115-grain EXP. EXP stands for Extra Power. This load averages 1250 fps in the SIG P320 M17’s 4.7 inch barrel. This is plenty fast for rapid expansion. This is as hot as possible without getting into +P territory and more wear and tear and recoil. If your scenario is home defense and general defense duty, this is a load of choice. If you will probably be facing felons behind cover or those heavily bundled in winter clothing the 124-grain JHP would be more desirable. 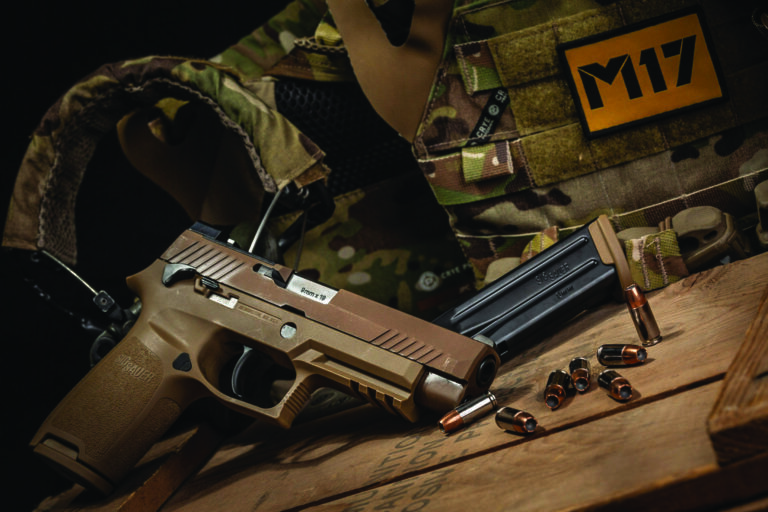 Black Hills Ammunition provided excellent results in the SIG M17.